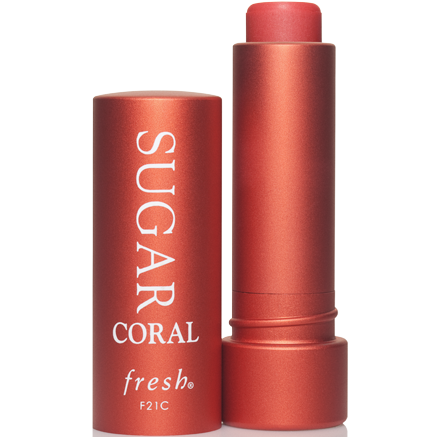 Sugar Coral Tinted Lip Treatment Sunscreen SPF 15 moisturizes, protects, and smoothes the lips with an exclusive blend of moisture-preserving sugar, nourishing precious oils, antioxidant-rich polyphenols, and essential SPF protection while leaving a juicy coral tint. It is proven to provide 6 hours of significant moisture for soft, supple lips. The unique formula offers buildable coverage to customize a sheer or rich hue and is the perfect partner to the best-selling Sugar Lip Treatment Sunscreen SPF 15. - Which skin type is it good for? 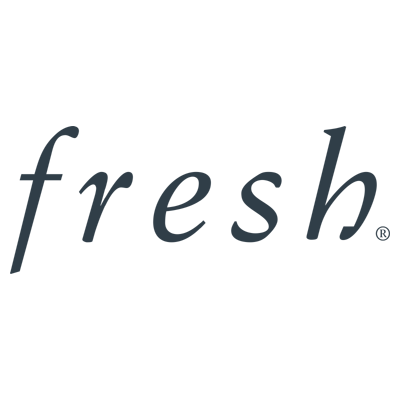 • Use as a touch-up lip moisturizer throughout the day. • For tinted shades: layer as a tinted treatment base prior to applying Sugar Lip Gloss or any other lip color product. • Wear alone for a hint of color. AVOBENZONE 2.00%, OCTINOXATE 7.49% Cera Alba (Beeswax), Ricinus Communis (Castor) Seed Oil, Simmondsia Chinensis (Jojoba) Seed Oil, Hydrogenated Olive Oil Decyl Esters, Vitis Vinifera (Grape) Seed Oil, Parfum (Fragrance), Copernicia Cerifera (Carnauba) Wax, Persea Gratissima (Avocado) Oil, Limnanthes Alba (Meadowfoam) Seed Oil, Passiflora Incarnata Seed Oil, Sucrose Tetrastearate Triacetate, Ribes Nigrum (Black Currant) Seed Oil, Helianthus Annuus (Sunflower) Seed Oil, Retinyl Palmitate, Ascorbyl Tetraisopalmitate, Tocopherol, Ascorbyl Palmitate, CI 77492 (Iron Oxides), CI 77891 (Titanium Dioxide), CI 15850 (Red 7 Lake), CI 15850 (Red 6), Ammonium Glycyrrhizate, Polyglyceryl-3 Polyricinoleate, Vanillin, BHT, CI 77499 (Iron Oxides), Propyl Gallate, Limonene, Citral, Benzyl Alcohol, Linalool, Geraniol. The pigment is very strong. There is one shop selling this in London, otherwise you have to get it in America. I love this lipbalm. The pigment is strong yet it is as moisturising as any other lip balm. The pigment doesn't last a very long time but it is lovely to re-apply. The lemon - sugar scent is incredible. The packaging is a metal tube which screws, this is weighty and feels luxe although sometimes it can be tricky to ensure it is properly closed.